London Clay is a characteristic of the strata in London. London Clay, lies up to 433 feet (132 metres) thick under the City of London and supports most of its tunnels and deeper foundations. The clay formed a stable environment for tunnelling and was instrumental in the early development of the London Underground. South of the Thames the stratum at Tube level is weather bearing sand and gravel which is not an ideal medium for tunnelling and why there are few tube stations there. A characteristic of many clay soils is that they swell in volume when they get wet and reduce in volume as they dry. This can cause seasonal movement in the ground and leave buildings with shallow foundations susceptible to problems. Geotechnical Exploration Services have carried out many site investigation works in London to test the ground conditions for new buildings and sites where London Clay is present. 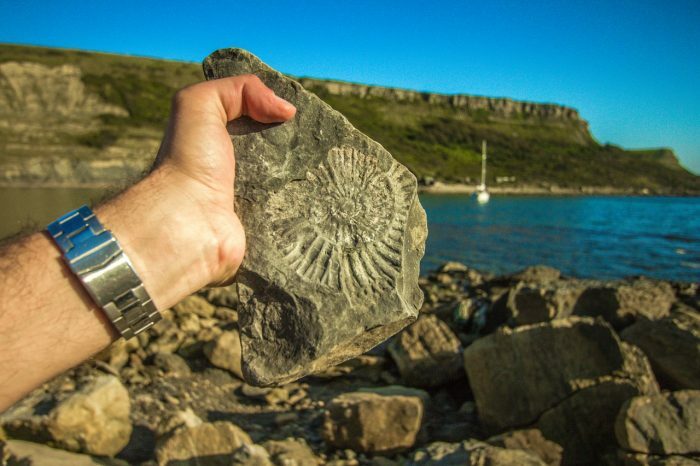 Fossil hunting in London Clay has been carried out for over 300 years. Although animal fossils are not especially abundant in the London Clay, a diverse collection of Fauna has been discovered through comprehensive sampling at a number of localities. Mollusks dominate the animal findings, but fishes, brachiopods, worms and crabs also occur. The diverse and abundant fossil plants discovered in the London Clay has proved to be of exceptional importance. Levington is a location on the River Orwell, where London Clay is exposed in large cliffs and on the foreshore. It has yielded a large number of reptile remains, including one complete skeleton. Today the clay is still used commercially for making bricks, tiles, and coarse pottery in places such as Michelmersh in Hampshire.